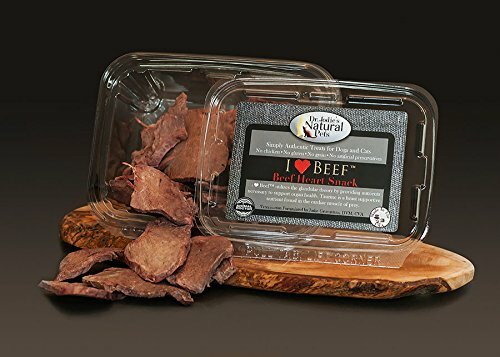 Crunchy, freeze-dried, sliced beef heart snack for dogs or cats! 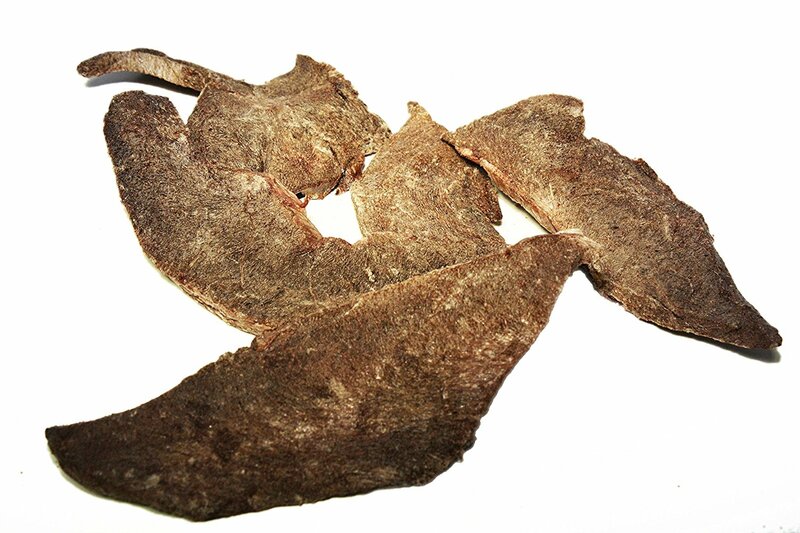 No starch, no gluten, no preservatives, and grass fed! 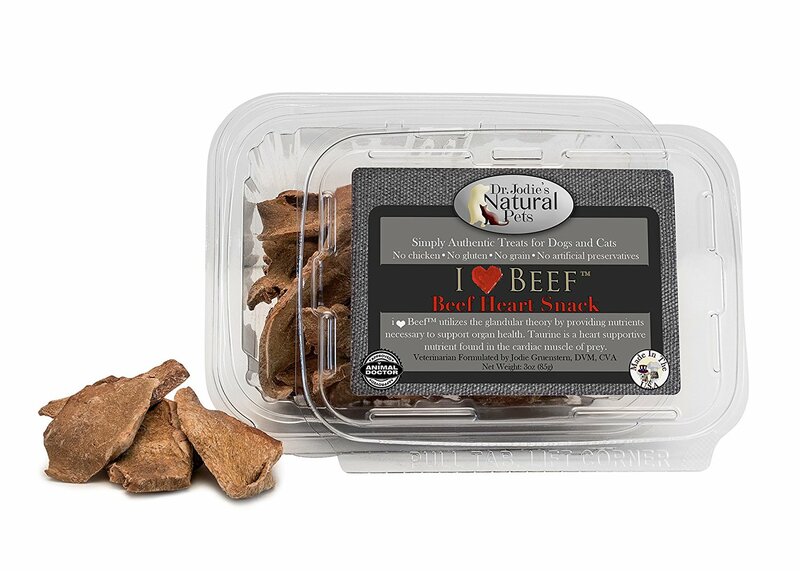 The I Heart Beef™ treats for dogs and cats provide them with a delicious, crunchy, freeze-dried snack that is also healthful. It is a uniquely large strip of pure grass-fed beef heart, USDA-inspected from the heart of the Midwest. A full strip is a hearty cookie for a large dog. The strips can be broken easily into tiny pieces for cats or to be used for training. 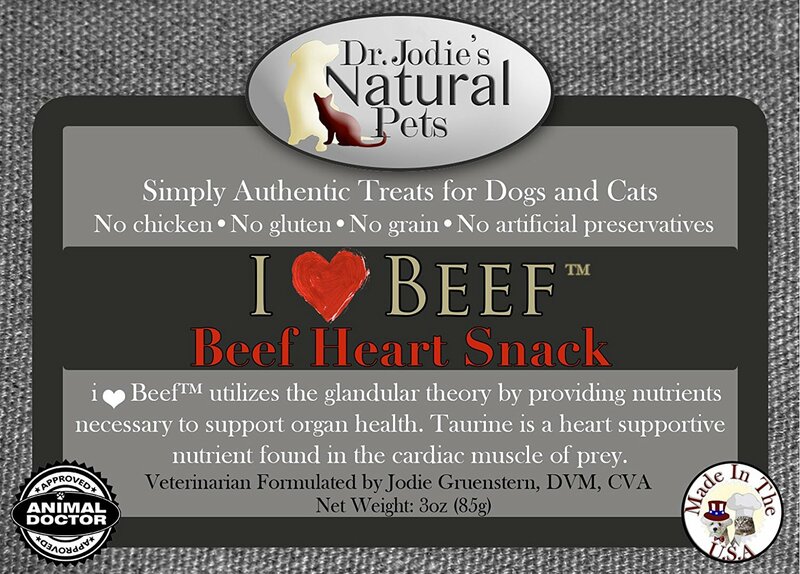 The heart which contains no starch, no gluten, no additives, but is a great source of taurine, is ideal for a weight management program and provides nutrients for a strong body and healthy heart! 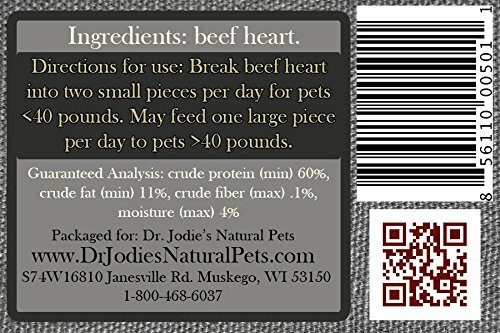 Directions: Break the beef heart into two small pieces per day for pets less than 40 pounds. May feed one large piece per day to pets greater than 40 pounds.